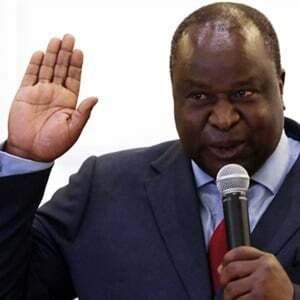 Minister of Finance Tito Mboweni told Parliament during his first medium term budget policy statement that local government was in a state of financial crisis, which left national government little choice but to consider interventions. This was the central reform related to local government finances that he introduced during the speech. Institutions such as the Auditor General have painted a bleak picture of local government finances around the country. The downfall of VBS Mutual Bank, where a number of municipalities invested their money, has not helped the situation either, with local government councils losing millions in the process. During his medium-term budget speech, Mboweni said 113 municipalities adopted unfunded budgets this year and that municipalities owe R23bn to service providers, including Eskom and water boards. Mboweni said, although municipalities are responsible for resolving financial problems, the provincial or national government must intervene if a local government authority lacks the capacity to fulfil its constitutional obligations. "Government is, therefore, proposing the reallocation of resources to enable national and provincial treasuries to better manage interventions. "This will strengthen the National Treasury’s Municipal Financial Recovery Service, which prepares financial recovery plans for municipalities, and augment the capacity of provinces to implement these plans," said Mboweni. Mboweni said a new grant that government had proposed to help municipalities facing financial crisis will no longer be introduced, but will instead be reprioritised for other initiatives that will assist the turnaround of municipalities. 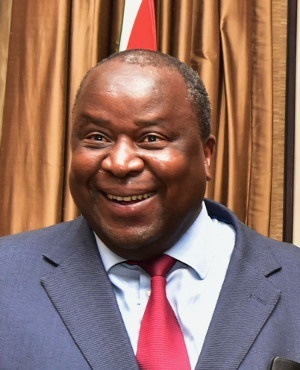 "Ultimately, sustainable financial recovery will require improved governance within the affected municipalities following the intervention," Mboweni said. He added that larger and more stable municipalities in the country would have to rely more on their own revenue and less on allocations from the fiscus. "We are proposing a combination of reprioritisation, changes to grant structures and in-year allocations amounting to more than R50bn. Of this amount, reprioritisation of R15.9bn goes towards infrastructure programmes supporting industrialisation and the Expanded Public Works Programme," said Mboweni during his speech. He said metropolitan areas could use municipal borrowing to fund most of their operational budgets from revenues they raise themselves. "There is ample scope for creditworthy municipalities with strong financial management to increase local capital investment by expanding municipal borrowing," said Mboweni. In 2017/18, half of infrastructure spending by metros and large cities was still funded from transfers, primarily from national government, according to the mid-term budget’s adjusted estimates of national expenditure. * Visit Fin24’s 2018 mini budget hub for all the news, views and analysis.